‘Tipping points’, are essentially the thresholds beyond which the earth’s systems are no longer able to stabilise. The danger in crossing tipping points becomes higher with more warming. melting of all the permafrost and so on. It encompasses presence of micro-organisms, micro-fauna (nematodes and tardigrades for example), and macro-fauna (ants, termites and earthworms). 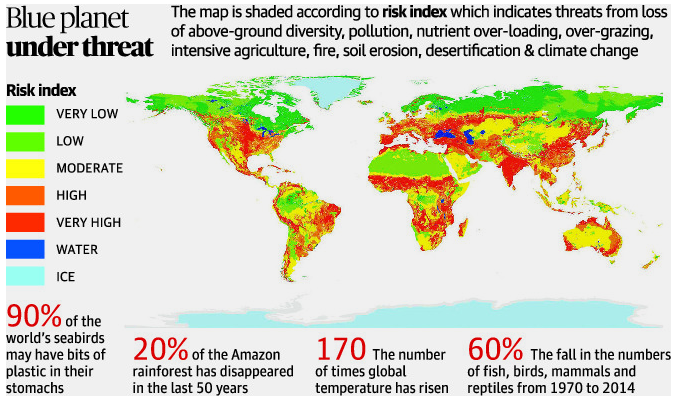 It indicated threats from loss of above-ground diversity, pollution and nutrient over-loading, over-grazing, intensive agriculture, fire, soil erosion, desertification and climate change. 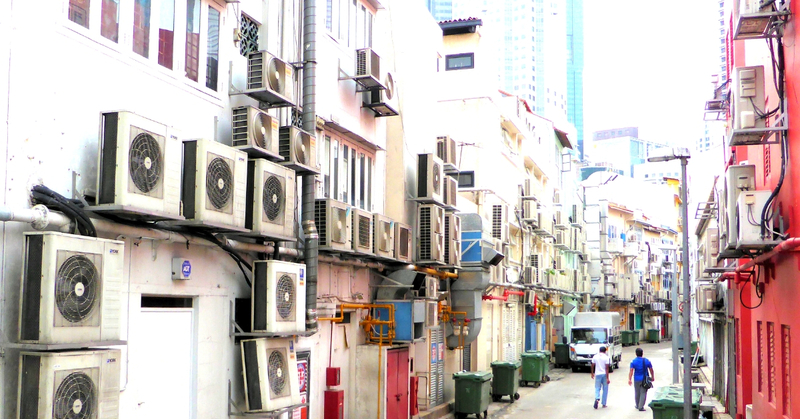 ICAP’s overarching goal is to provide sustainable cooling and thermal comfort for all while securing environmental and socio-economic benefits for the society. India is the first country in world to develop such document. In the year 2010, Western Ghats Ecology Expert Panel (WGEEP) was constituted by the Central Government, under the chairmanship of Madhav Gadgil. WGEEP issued recommendations for the preservation of the fragile western peninsular region. Recommended that the entire stretch of the Western Ghats should be declared as Ecologically Sensitive Area (ESA). It recommended the division of region into three zones – ESZ1, ESZ2, ESZ3 and gave a broad outline of certain restrictions for each zone. The committee recommended the division of region into zones at the block/taluk level. It recommended that no new polluting industries (red and orange) were to be permitted in ESZ1 and ESZ2 and gradual phasing out of such existing industries by 2016. Complete ban on mining in ESZ1 and regulation of mining in ESZ-2. 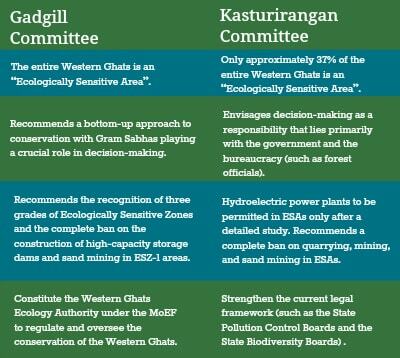 It was recommended that bottom to top approach be followed for conservation of Western Ghats. Western Ghats Ecological Authority was proposed to be set up as a statutory body and given powers under the Environment protection Act 1986. The report was not prepared keeping in mind the ground realities. If the report is implemented, the development and the energy requirements in the states coming within the boundary of Western Ghats would be adversely affected. There is no need to set up a new body while there are many such bodies for the protection of environment. Madhav Gadgil has said the recent havoc in Kerala is a consequence of short-sighted policymaking, and warned that Goa may also be in the line of nature’s fury. Following severe resistance to the implementation of Gadgil Committee report, Kasturirangan Panel was set up in 2012 to advise the government on Gadgil Committee Report. Of the natural landscape, it picked out 37% as “biologically rich” and with “some measure of contiguity”. Restrictions were placed in this area. It proposed the demarcation of ESZ be done at the village level. Only red category (heavy polluting) industries were restricted. Hydro power project would be given the green signal on a case to case basis, post assessment of its benefits and the possible damage it could cause. Gadgil report laid too much importance to the environment, Kasturirangan report was biased towards development. Kasturi Rangan report was criticized by many as that it provided loopholes for mining, which if allowed would turn detrimental to the environment, in long-term will affect development too. Kasturirangan report got the tag as anti-environmental soon after its release. The WGEEP had earlier proposed “much larger areas for being included in the eco-sensitive zone” though the Kasturirangan panel had reduced it. The Ministry had accepted the Kasthurirangan report and issued the draft notifications on ecologically sensitive zones. Now, the six Western Ghats States, Kerala, Tamil Nadu, Karnataka, Goa, Maharashtra and Gujarat have been restrained by the NGT from giving environmental clearance to activities that may adversely impact the eco-sensitive areas of the mountain ranges. The panel directed that the extent of Eco-Sensitive Zones of Western Ghats, which was notified by the Central government earlier, should not be reduced, in view of the recent floods in Kerala. The Tribunal Bench, in its order, noted that any alteration in the draft notification of zones may seriously affect the environment. What is Reducing Emissions from Deforestation and Forest Degradation (REDD)? 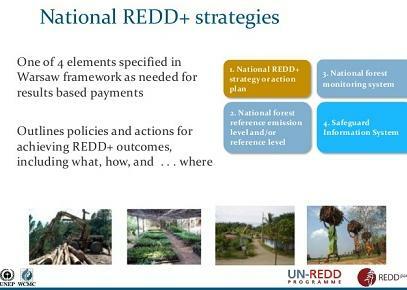 REDD is set of steps designed to use market and financial incentives in order to reduce emissions of greenhouse gases from deforestation and forest degradation. 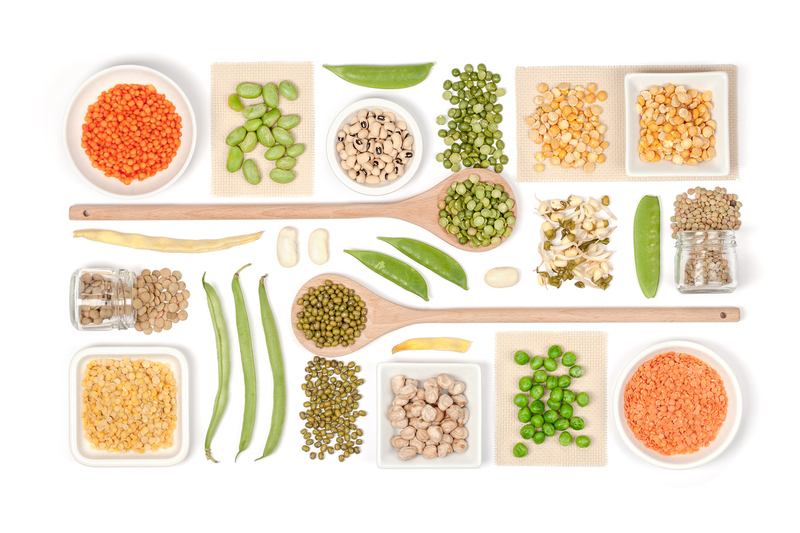 It is collaborative programme of Food and Agriculture Organization (FAO), United Nations Development Programme (UNDP) and United Nations Environment Programme (UNEP). Its original objective is to reduce greenhouse gases but it is claimed that it can deliver co-benefits such as biodiversity conservation and poverty alleviation. REDD+ initiative goes beyond deforestation and forest degradation, and includes the role of conservation, sustainable management of forests and enhancement of forest carbon stocks. It aims at reducing emissions from deforestation and forest degradation, conservation of forest carbon stocks, sustainable management of forests and enhancement of forest carbon stocks in developing countries. It gives emphasis to activities that will help in sustainable livelihood of local communities and also in conservation of biodiversity. It aims at achieve climate change mitigation by incentivizing forest conservation. This strategy will soon be communicated to United Nations Framework Convention on Climate Change (UNFCCC). It has been prepared by Indian Council of Forestry Research & Education (ICFRE), Dehradun. It is one of tools to further supplement India’s commitment to 2015 Paris agreement. It will support empowerment of youth cadres as community foresters to lead charge at local level. Under it, Green Skill Development programme will be launched for imparting forestry-related specialised skills among the youth. National REDD+ strategy will help India to fulfil its nationally determined contribution (NDC) commitments and will also contribute to livelihood of forest dependent population. It will help to enhance efforts for forest conservation and enhance productivity of forest eco-systems. 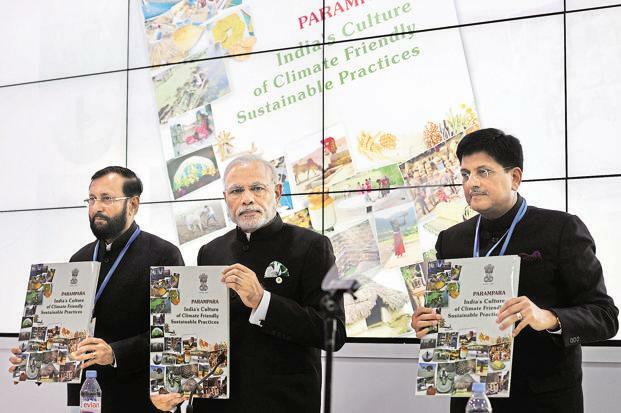 It takes into consideration important role played by tribal, other forest dwelling people and society as whole in reiterating India’s commitment to Paris Agreement. Paris Agreement on Climate Change recognises role of forests in climate change mitigation and calls upon participating nations to take action to implement and support REDD+. India in its NDC to this agreement has committed to capture 2.5 to 3 billion tonnes of carbon dioxide (CO2) through additional efforts in forestry sector. India’s first biennial update report to UNFCCC has revealed that forests in India capture about 12% of India’s total GHG emissions. Thus, forestry sector in India is making positive cost effective contribution for climate change mitigation. Cheetah, fastest land animal was declared extinct in India in 1952. India’s last spotted Asiatic cheetah (Acinonyx jubatus venaticus) had died in Chhattisgarh in 1947. This species was hunted into extinction by British colonial officers and Indian royalty. 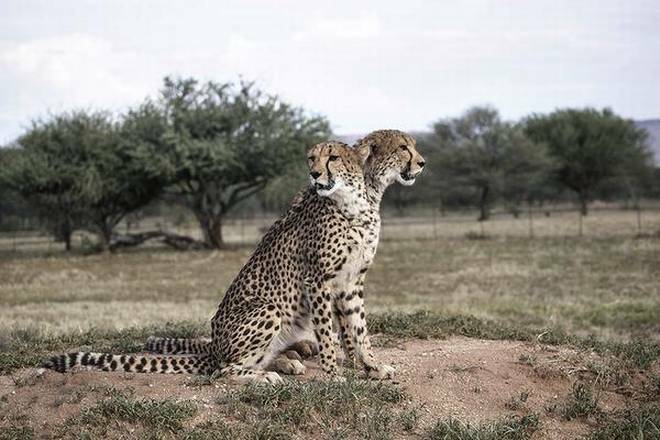 According to earlier action plan, around 20 cheetahs were to be translocated to Nauradehi from Namibia in Africa. Namibia Cheetah Conservation Fund had then showed its willingness to donate felines to India. However, State was not ready to finance plan contending that it was the Centre’s project. In 2011, NTCA, a statutory body under Union Environment Ministry had committed Rs.50 crore to State for this project. Dehradun based Wildlife Institute of India (WII) also had prepared Rs. 260 crore Cheetah Re-introduction Project in 2012. It was estimated that Rs. 25 crore to Rs. 30 crore will be needed to build enclosure with huge boundary walls in area of 150 sq km for introduction and protection of Cheetahs in Nauradehi before releasing them in wild. Nauradehi sanctuary was found to be most suitable area for reintroduction of Cheetahs as its forests are not very dense to restrict fast movement of Cheetahs and also has abundant prey base.